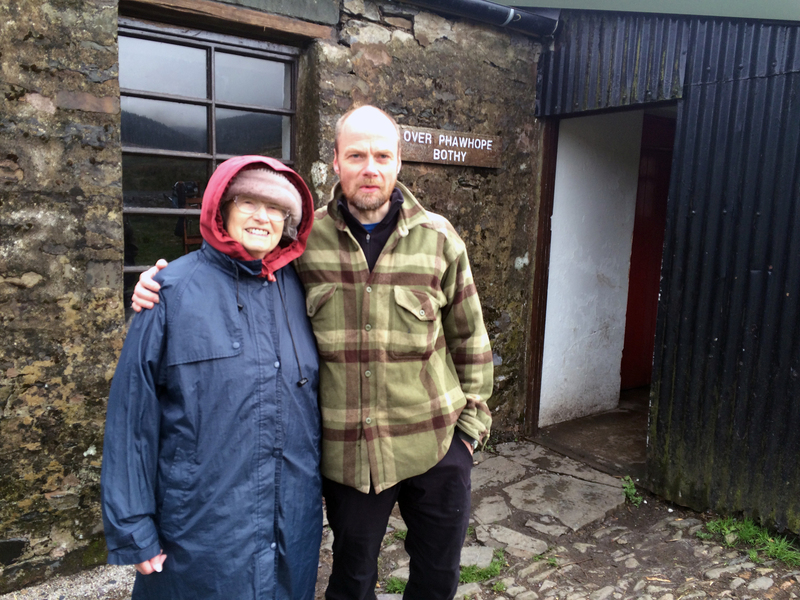 Didn’t quite get the weather but a treasured moment at the weekend, when my mum made it to her first bothy. Even at 84 she’s still very active, and made impressively short work of the walk in. We were in luck as a work party was already settled in for the day, lit the stove and had tea and biscuits at the ready. I had to explain that you didn’t get this kind of reception at every bothy you pop into for lunch! 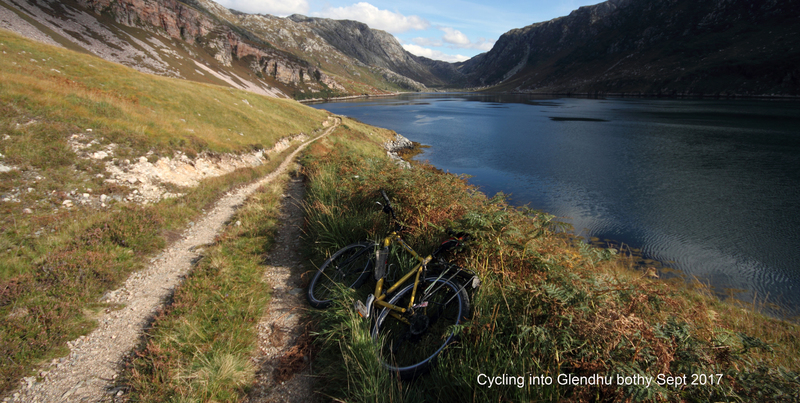 Thanks to Eileen and Alistair for buddying us along. This entry was posted in day trips and tagged Over Phawhope on May 23, 2016 by bothiesonabike.